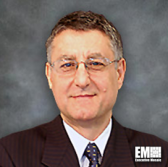 StellarPeak, led by President and CEO Nuhad Karaki, has appointed former National Intelligence Director James Clapper as a senior adviser at the Reston, Va.-based technical and analytic services contractor. 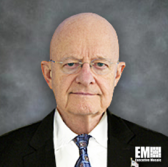 In his position, Clapper will advise StellarPeak on strategic planning, market intelligence and business development matters to help drive the company’s growth efforts, particularly within the U.S. intelligence community. He served as the country’s fourth DNI and as the principal intelligence adviser under the Obama administration. Before that, the retired Air Force lieutenant general worked as undersecretary of defense for intelligence in two administrations and led the Defense Intelligence Agency and the National Geospatial-Intelligence Agency. StellarPeak maintains a portfolio of systems engineering and integration, cloud engineering, intelligence analysis, training support and integrated cyber and security service offerings for the government sector.